It’s better safe than sorry. Here at Greg Jones Insurance Servicewe’re not just another small business, we’re offer affordable health insurance in Bakersfield, California. We pride ourselves on outstanding service, friendly customer relations and helping people of unique problems, perspectives and needs find the perfect health insurance.When it comes to insurance an interesting thing is common among uninsured people of all ages, when asked why they didn’t get insurance their answer is simple – ‘I didn’t think it would happen to me’.This is the sad, alarming truth which puts thousands of families in debt or in sticky situations each year just because they decided to skimp out on getting health insurance. The problem most don’t usually see is that complications seem to arise out of nowhere and you’ve got to be ready for the unknown.Why Do I Need Health Insurance?Everyone needs health insurance, not just you. Because accidents do happen, we can try to prevent them and lead a healthy lifestyle but sometimes health problems arise literally out of thin air. When you’re caught like that you’ll at least have the peace of mind knowing you’re covered. Fill out an online application for health insurance Even if you can’t afford the largest coverage get at least some sort. When the time comes it can be the difference between getting the help you need or being put in debt that you don’t want.Transformation of risk to the insurance companyWe’ll save you the ‘sales’ talk and explain this in layman’s English. After all getting the right insurance package means knowing what you’re paying for. Basically what transformation of risk does is provide coverage in case your get hurt. You’ll be paying a monthly fee and depending how much you are paying will translate into how much risk you are covered for.Shielding your assets Your assets is knowing that there are odds for you contracting a disease or some type of condition. Let’s say for example obesity runs in your family, to shield your assets (your body) you start going to the gym, this helps you stay healthy and protects your current assets.As you can imagine, shielding assets is an important part of group health insurance. 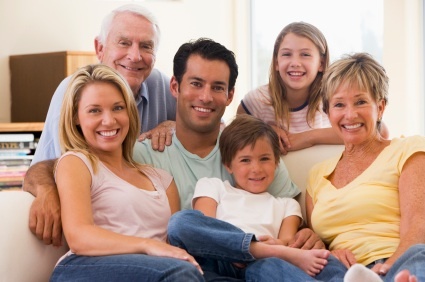 So come to us and let us help you shield your assets with a Universal life Insurance plan so you lose the minimal amount (if any at all) Affordability – It’s what we aim for Southern California health insurance plans – it’s what we do. And with years of practicing writing up health insurance for people in California and all around Bakersfield we’ve learned that there’s a common trait, which everyone wants, with their health insurance – a nice price. That’s why we strive to make every health insurance package affordable. With us you won’t have to worry about ridiculous prices or bringing yourself into further debt. You can get the coverage that you deserve at a price that you desire – that’s our promise to you.So Fill out the Contact Form, or give Greg Jones a call 661.703.8848 we’re looking forward to meeting with you and discussing your possibilities!